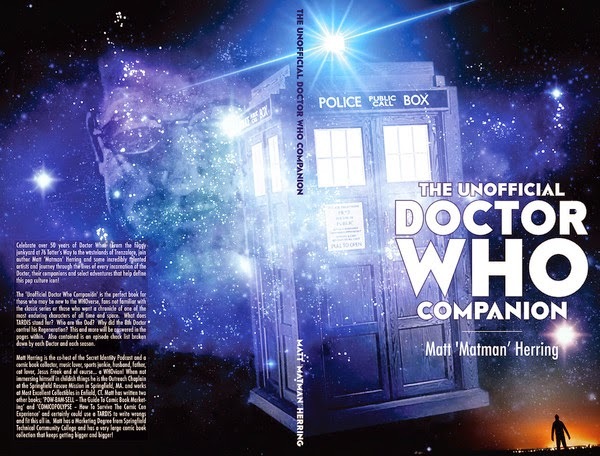 In the twenty-sixth episode of the See Brian Write podcast, I sit down with my Secret Identity podcast partner Matt Herring to talk about his NaNoWriMo experience, and how it kicked off a new career in writing for him. NOTE: If you are a writer and want to be on the podcast, either email me (brian@seebrianwrite.com), or DM me on twitter: twitter.com/seebrianwrite. I am now scheduling new interviews! Last month I wrote about that awkward period of time when your next book is almost ready to be released into the world. It's a time where you can get bogged down creatively, and I try to stay busy with other projects (podcasts, comics, etc.) so that I don't lose the momentum I've built up during NaNoWriMo. But aside from the waiting game of the impending book release, the winter months are a tough time for me schedule-wise because I coach basketball. I've coached my daughter's team for three years now, and I absolutely love it. We've got a unique situation in that we are a fifth, sixth, seventh and eight-grade team playing in a 7-8 league (we didn't have enough kids for two teams). So, it's been a challenging season but a very rewarding one. In terms of schedule though, coaching pretty much dominates my free time from early December until mid-March. In addition to multiple practices and games each week, there's a lot of prep time as well. In a way, it works out well that NaNoWriMo wraps up and I roll right into basketball season. It keeps me from diving right back into edits on the draft I just wrote, and forces me to let it sit for a few months. But as we come to the end of February, I can see the end of basketball season quickly approaching. And I'm like a caged animal thinking about what I'm going to do with that time when I get it back. So while I'll savor these last couple weeks of the season with the team, the write in me is doing jumping jacks. So I mentioned last week that I was going to be checking out Scribd, a Netflix-like service for books that just recently added some major comic publishers, including Marvel, Archie and IDW. Even though I'm on a free trial, I've already read a couple hundred dollars of content in my first weekend, including a book I can now cross off my reading pile of shame--Locke & Key. Every once in a while, you read a book or a comic that seems to be completely tailor-made for you. For me, that book is Locke & Key. 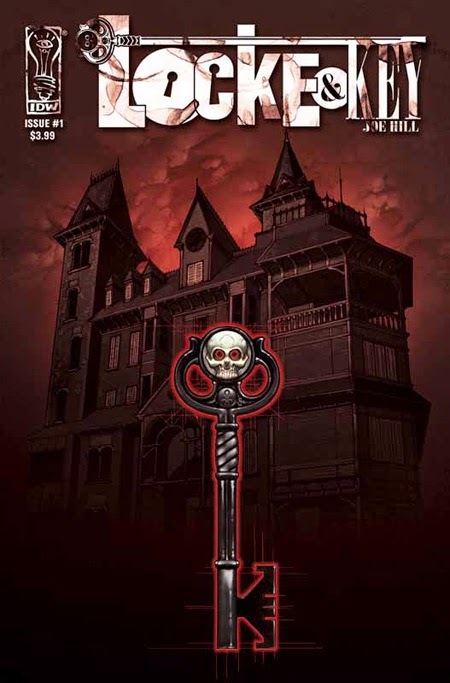 As both a horror and dark fantasy fan, Locke & Key flips all the right switches for me. Writer Joe Hill and artist Gabriel Rodriguez teach a master class in visual storytelling over the course of six volumes. This is one of those stories I don't want to spoil for those that haven't read it. But I will give you the setup. After their father is brutally murdered, three children and their mother travel across the country to live at their father's family estate in Lovecraft, Massachusetts. The estate is called Keyhouse, and not long after arriving, the kids discover why. One of them finds a very unique key that unlocks one of the house's many mysteries. I've been wanting to get into Locke & Key for years, but I'm glad I waited. Getting to experience the entire story from start to finish in one weekend was amazing. This book easily makes my all-time top twenty. 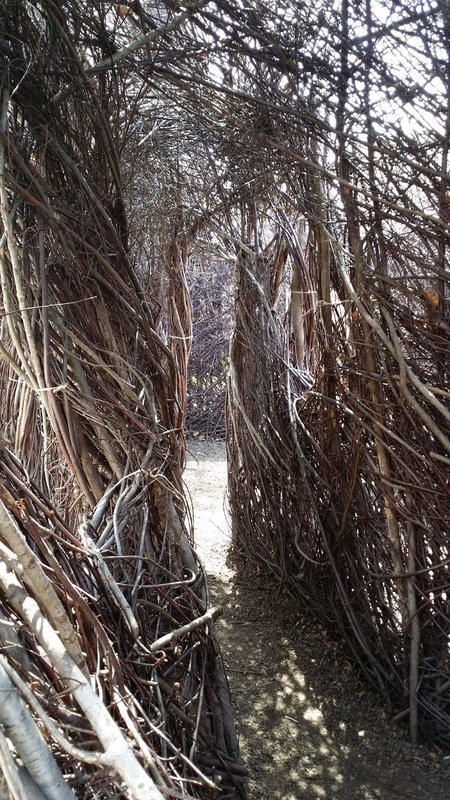 It reminds me a lot of Clive Barker's more fantastical works like Weaveworld and The Thief of Always. And in some ways, I feel like Joe Hill's style incorporates some of what I love about both Stephen King and Clive Barker, without any of the things I don't care for. Hill's story is both fantastical and grounded at the same time, and it's wonderfully detailed but there's not a panel of filler in the entire series. As I said, I think Hill and Rodriguez have created a near-perfect story with Locke & Key, and I cannot recommend this series enough. The entire series is on Scribd now, so you could use your free month trial and read the whole thing. Worlds collided for me yesterday when I opened my email to find a press release from Marvel. While I don't talk much about it on this blog, I'm a huge comic fan and I've hosted a comic book podcast called Secret Identity since 2006. This particular press release was interesting to me as a comic fan, an indie author and a reader in general. Marvel announced that they were partnering up with the subscription service Scribd to offer hundreds of their collected editions to Scribd subscribers. Among the characters specifically mentioned were Spider-Man, Guardians of the Galaxy, Captain America and Hulk. This was the icing on the cake of a larger announcement by Scribd that they're adding over 10,000 comics and graphic novels to their service. Now prior to this, Scribd wasn't necessarily doing too much to differentiate itself from either Oyster or Kindle Unlimited, outside of being a buck cheaper a month (Scribd is $9 a month to Oyster and Amazon's $10 a month fee). While both Scribd and Oyster have publishers that Kindle Unlimited doesn't, Scribd had the smallest library of the three services. Which is what makes the addition of comics a huge game-changer for Scribd. Amazon and Oyster have not extended their services to include unlimited comics, so Scribd is striking first here. And when you add over 10,000 comics by big publishers like Marvel, Archie, IDW and BOOM!, you've added a library worth paying for access to. To be honest, I didn't care about any of these services until this week. And I've thought from the beginning that Amazon made a huge mistake not bundling Kindle Unlimited with their Prime subscription. So I believe there is a nice window of opportunity here for Scribd to stake a much bigger claim in this space before their competitors can react. But make no mistake, Amazon with react. And they are well-positioned to do so. First off, they already own ComiXology, the number one digital comics platform. Millions of people are already getting their digital comics through ComiXology, but they're paying per issue. Amazon could choose to offer a subscription service right through the ComiXology platform, letting subscribers access the already huge library there for a flat fee. Or, Amazon could decide to extend their Kindle Unlimited service to include comics which they already have Kindle versions of. Either way, they have the capacity to add comics without having to reinvent what they're doing. I feel like Oyster is the one who is going to lose out here. Scribd beat them to the punch and they don't have the resources Amazon does to counter. It's going to be an interesting few months. If Scribd takes off in the comics space, expect Amazon to react sooner than later. Either way, this is great for consumers, as these three services will have to continue to add value or become obsolete. One thing I haven't looked into yet is how each of these services work with indie authors. I'll be doing that and posting about it here as well. MO STACHE is Back for 2015! After a holiday break, Mo Stache is back in action! Artist John Cordis and I are heading down the home stretch of our epic tale of alien mustaches, as we are in the final chapter of Mo--"Hair on Earth." You can get caught up on the entire series to date with the click of a button, as Mo Stache is available entirely for free at www.mostachecomic.com. So if you're a fan of robots, aliens mustaches and adventure, look no further than Mo Stache. New pages go up every other Wednesday! Oh, and if you want to start at page one and read on through, just click here. Fans of NaNoWriMo--Grab Your Games and Jump Into "Four in February"
A lot of us writers happen to be be pretty avid gamers as well. Many of us use games as a way to help recharge our creative batteries after a big project, or just de-stress in the midst of deadlines, edits or other anxiety-producing parts of our beloved craft. For those of us who participate in NaNoWriMo every year, one of the big draws of that challenge is the gamification of it. Seeing your word-tracking bar fill up over the course of the month, earning badges for certain achievements--it's all very familiar to us gamers. Well if you're a fan of NaNoWriMo and an avid gamer, there's a good chance you'll want in on "Four in February." 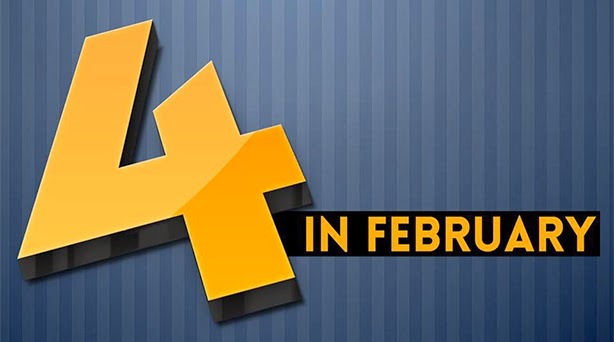 Started last year by the folks over at Joystiq, the idea behind Four in February is that you pledge to finish four video games during the course of the month. These could be games you've never even started, or ones you've been meaning to finish since you quit a third of the way through two years ago. Doesn't matter--all that matters is you finish four games before February is out. We got some sad new recently when it was announced that Joystiq would be shutting down, and it would be a great way to celebrate their legacy by participating in an event they created. There's a wonderful community built up around it, They have a Facebook page dedicated to the event, and the Twitter community is using the hashtags #4iF and #FourInFebruary to promote and discuss the challenge all month. My friends and I will be participating through our gaming blog Co-Op Critics, and we'll be posting videos and streaming gameplay on our Twitch page and YouTube page during the month. you can also follow our progress on Twitter at www.twitter.com/coopcritics. So grab your games and join the fun. Clock's ticking!